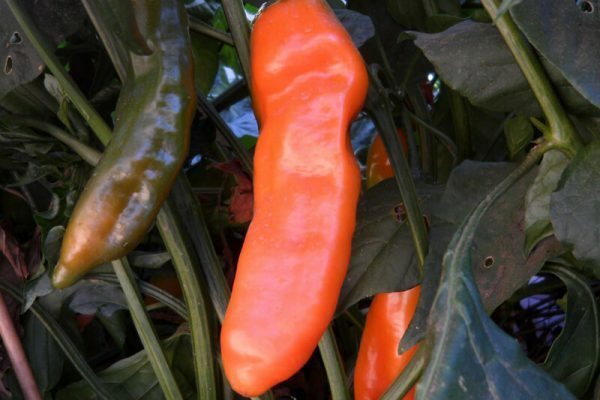 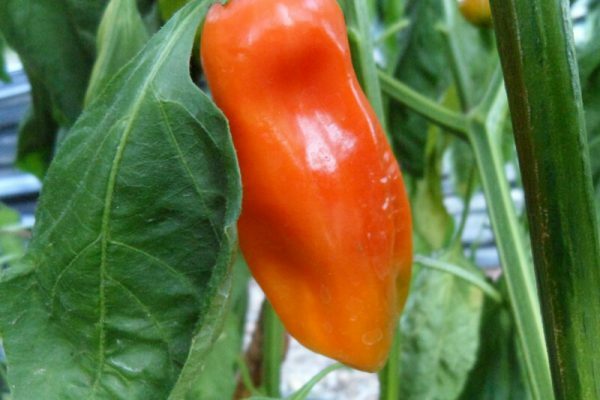 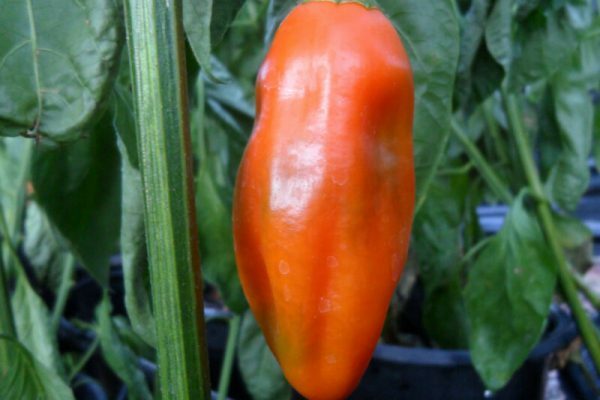 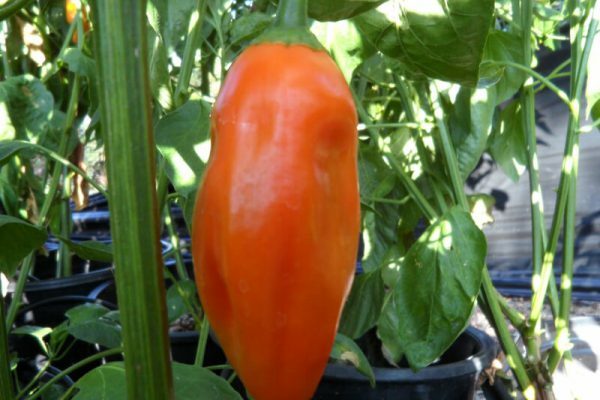 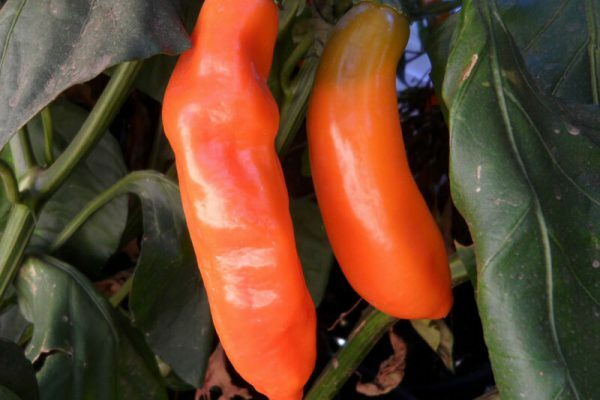 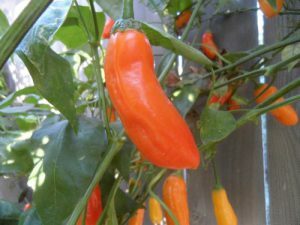 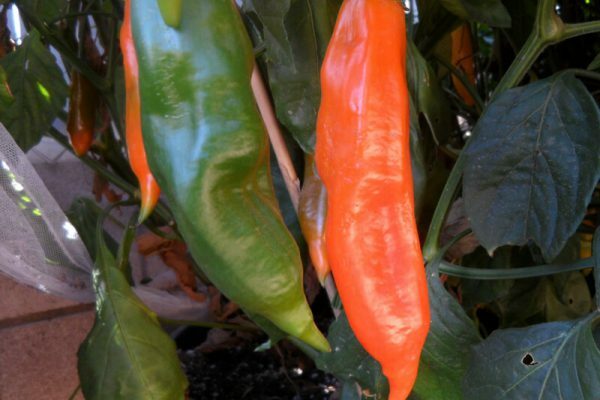 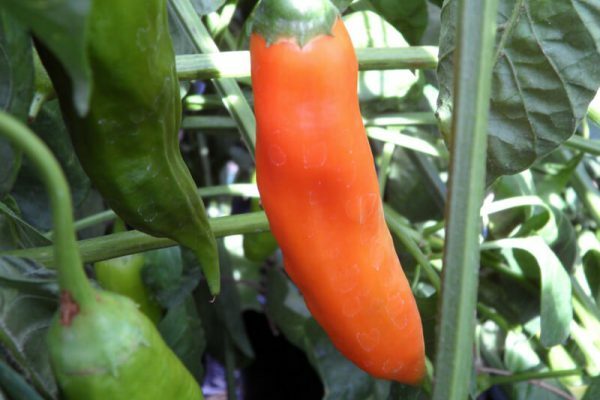 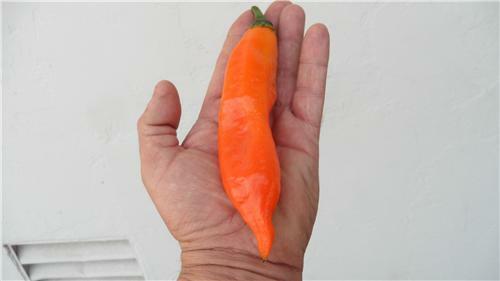 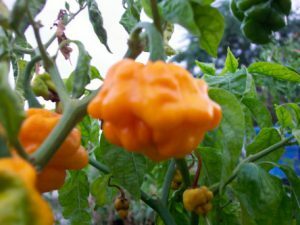 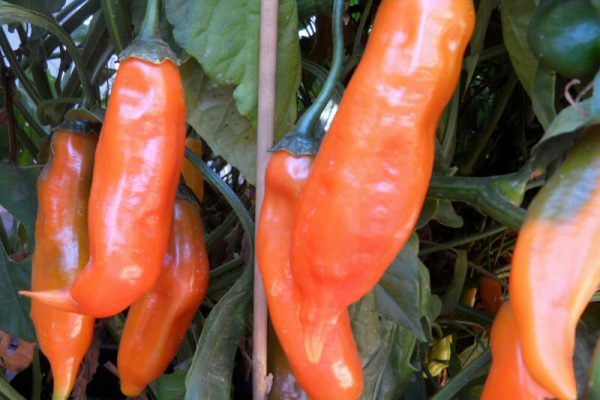 The Aji Amarillo is also called the Aji Rojo. 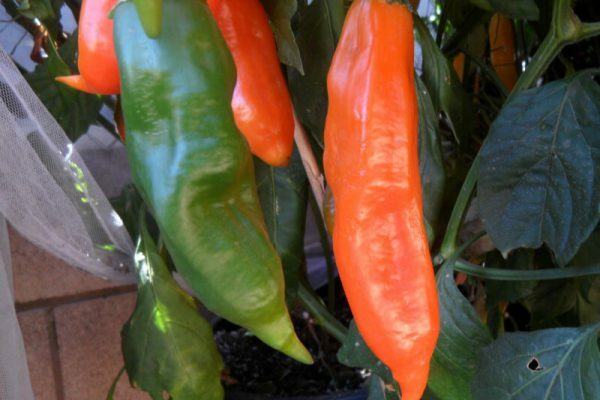 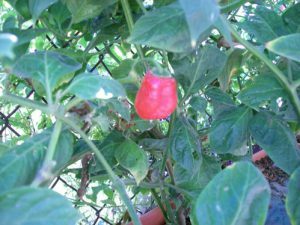 The chiles ripen slowly from green to orange. 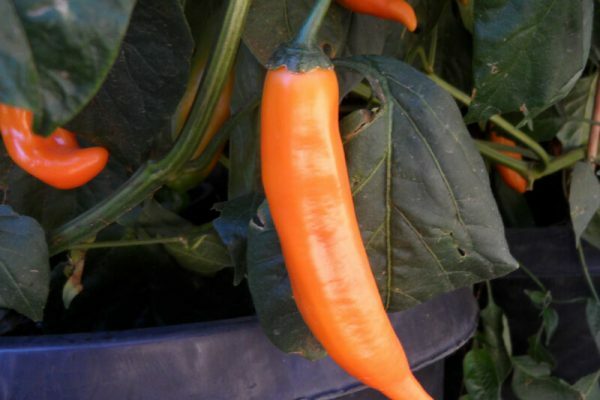 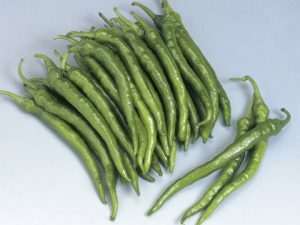 The peppers can get over 6 inches in length and over an inch wide. 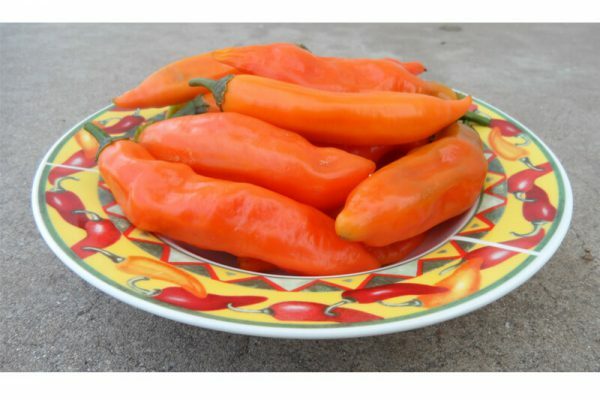 They have a nice fruity flavor and good heat. 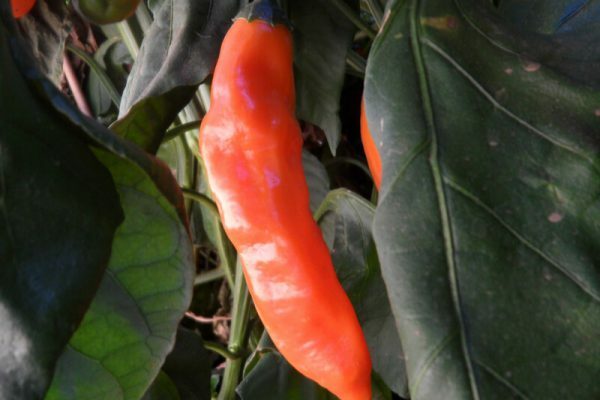 The heat is close to a Cayenne pepper. 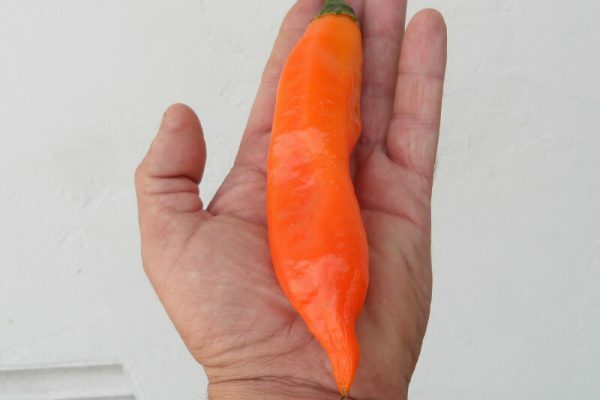 They are often found dried in the Peruvian market but are great for grilling and stuffing since they are so large. 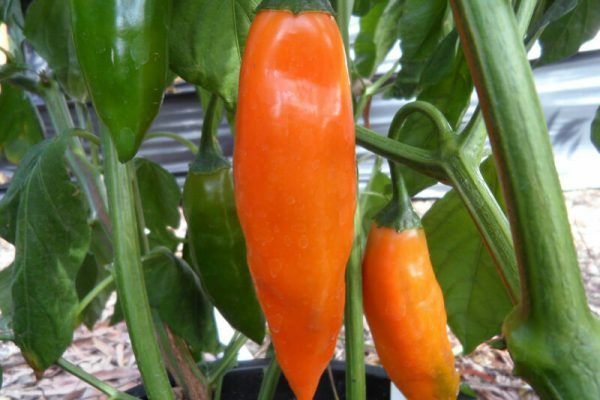 If you grow in a container use 15 gallon and up because the plants will get over 6 foot tall and will have to be staked.